By Jason Davis – WASHINGTON DC (Jan 16, 2019) US Soccer Players - As encores go, 2019 figures to be a difficult one for DC United. The club didn’t lift the MLS Cup in 2018, but expectations will rise dramatically in the new year. United’s late-season run to the MLS Cup playoffs and the energy that it inspired in the newly opened Audi Field are tough acts to follow. This is a period of transition for United. There are no guarantees that the transition will be a smooth one. United looks like a team just trying to get its feet underneath it. While the rest of the league was walking, DC was still crawling. The painful process of learning how to get upright is happening at the same time that MLS is trying to work its way into a slow jog. To keep up no matter the pace, the league’s original powerhouse will have to be decisive and ambitious. There’s no way to pinch pennies on the way to relevance in Major League Soccer. Not anymore. The offseason has already been a touch tumultuous for the Black & Red. If losing to Columbus at home on penalties in the knockout round of the 2018 playoffs wasn’t enough to stomach, the social media posturing of Luciano Acosta and December arrest of Wayne Rooney added to the sour feeling. Acosta’s cryptic posts looked related to his desire for a pay raise after a phenomenal 2018. Though Rooney’s arrival garnered the big headlines, it was arguably Acosta who was the better player during United’s charge to the postseason. Acosta scored 10 goals and finished second in the league to Philadelphia’s Borek Dockal with 17 assists. At times the Argentine was unplayable. His quickly spun partnership with Rooney had an oversized role in putting the club back on the map in DC. Play-by-play announcer Dave Johnson’s nickname for the duo, “Luch-a-Roo”, summed up the good vibes around Audi Field last year. The new venue was the proper home the club had longed for and provided the appropriate backdrop for a second-half revival. The latest out of DC suggests the club are in negotiations with Acosta on a long term extension. His deal runs out after the 2019 season, so the clock is ticking on locking him into a new agreement. Without a new contract, United risks losing Acosta at the end of the campaign with no compensation. Acosta made $652,000 last season according to the MLS Players Union, fourth on the club behind Rooney, Zoltan Stieber, and Paul Arriola. Becoming a big club again means either ponying up the money to sign a crucial attacking piece and fan favorite or selling the player now to get something from his departure. The fans in Washington won’t swallow a failure to re-sign Acosta easily, nor should they. 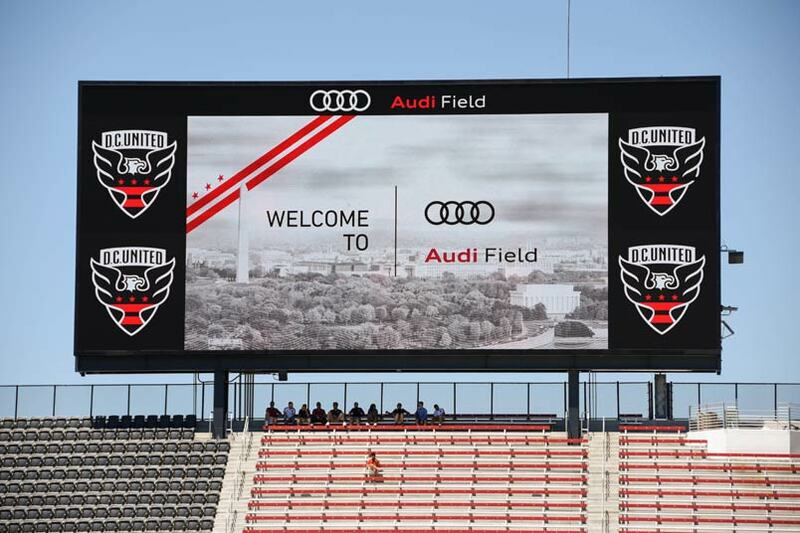 The promise of Audi Field was that it would allow the club to operate on something approaching equal footing with the rest of the league. Even if United didn’t charge into the big money stratosphere occupied by Atlanta and Toronto, it would at least be able to spend enough to compete. Rooney’s signing in June of 2018 signaled the new era in a big way, though every club knows that good will only lasts until the next season begins. For DC, that also means figuring out a way to hold on to Argentine winger Yamil Asad. Asad played with United on loan from Velez Sarsfield last season and is not guaranteed to return for 2019. United is currently knee-deep in negotiations with Velez on a sale or loan deal, though reports say the Primera Division club is making it difficult for DC. Off the field, it means getting more of the current and potential fan base engaged. That’s fancy modern marketing talk for “make the club interesting so people will want to watch it”. It’s about filling the stands, a function of playing entertaining soccer and winning, and providing access to the club through various media. 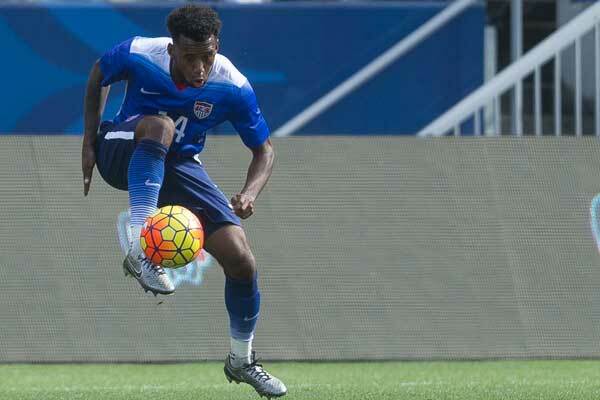 Soccer’s place on American media outlets is never secure. MLS has national television contracts with ESPN, Fox, and Univision buoyed in part by US Soccer’s rights. Local television deals are more difficult and can quite often be a drain on a club’s bottom line rather than a boon. Coming off of the renewed interest in the club in 2018, United figured to be in a position of strength regarding its local television rights. Last year, the club’s games appeared on a dedicated news channel owned by media conglomerate Sinclair Broadcast Group, a deal that failed to satisfy fans. On paper, there should be several suitors. There are a pair of local sports networks in the market, in addition to some general interest channels. Instead, United signed up with FloSports, a streaming service based in Austin, Texas. FloSports is new enough that few have heard of it but established enough to offer DC a significant sum for their broadcast rights. Sports Business Journal reported that United will see $13 million over the course of a four-year deal. Unlike a traditional television deal that would place United games on a channel most fans would already have access to, the partnership with FloSports will require fans to pay a separate subscription fee. The platform will offer a discounted rate for supporters group members and season ticket holders, but the price isn’t insignificant. The club will get first-rate treatment from FloSports and the world has turned towards similar digital deals. LAFC signed up with YouTubeTV for their local rights in 2018 and the Chicago Fire have a deal with ESPN+. However it’s parsed, moving to an online-only streaming service with an additional paywall limits the audience for United. That’s an interesting move for a club trying to convert last year’s success into a group of new fans. Time will tell if they made the right choice.